OLD PARKED CARS. 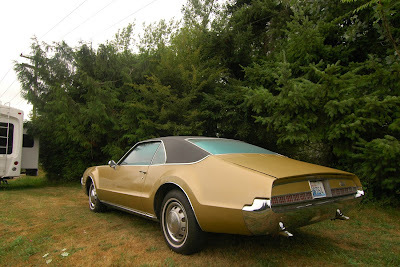 : 1967 Oldsmobile Toronado. Wow such a rare and beautiful car. That front end is amazing. Just found a 66 Tornado that was exactly like this one minus the black vinyl roof. One of my favorite cars. 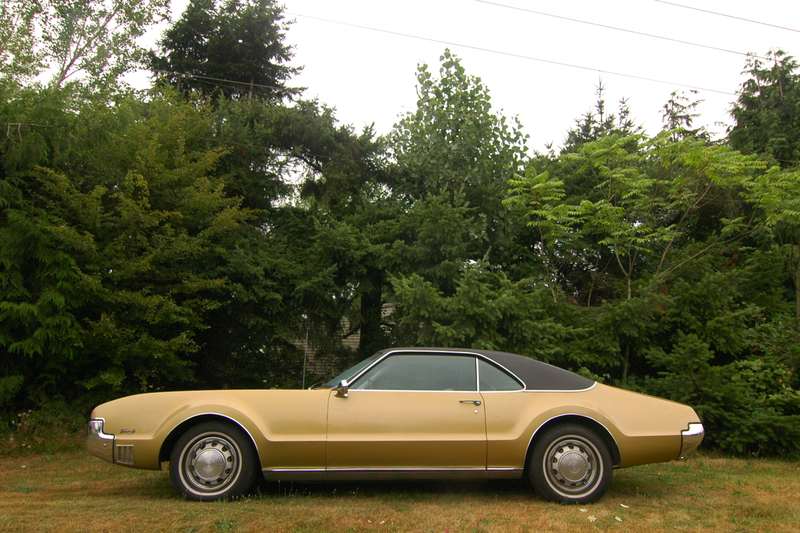 So wonderful, so excessive, so macho, so long, so impractical, so amazing. Thanks for this. Great to see one out and about. 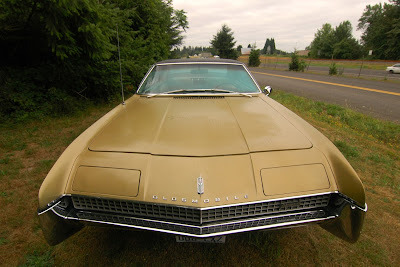 These and the 1st Gen eldorados are beautiful vehicles and also were some of the very first FWD American cars. This one is in stellar shape. These, along with the Eldorados are beautiful cars. They're big hunks of American iron, but they're so much better looking and have so much more design than the slabs like the Montego further down. The curves over the wheels, that gigantic hood and grill, the rounded and tapered rear end...someone knew how to design a car! I wonder how many of the original owners actually knew that they had bought a front wheel drive car? Damn. That is a fine automobile. Look at that hood shot...what an angle. Sorry, moltenburn, I have no idea why I copied your first sentence. Back in the day, you had to really want one of these to part with the asking price. 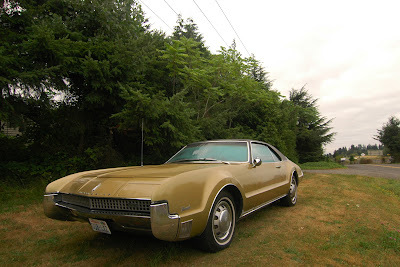 There was more luxury and value in the Olds line for the $.